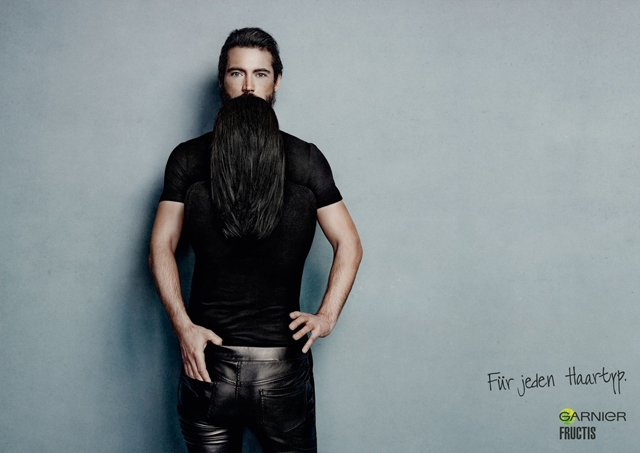 At first glance this recently released series of ads created by Publicis Zurich for Garnier Fructis features a trio of tough-looking rocker dudes with full healthy beards that would make the guys in ZZ Top jealous. It may take you a second to notice that the beards are actually the flowing hair of women standing in front of the men. 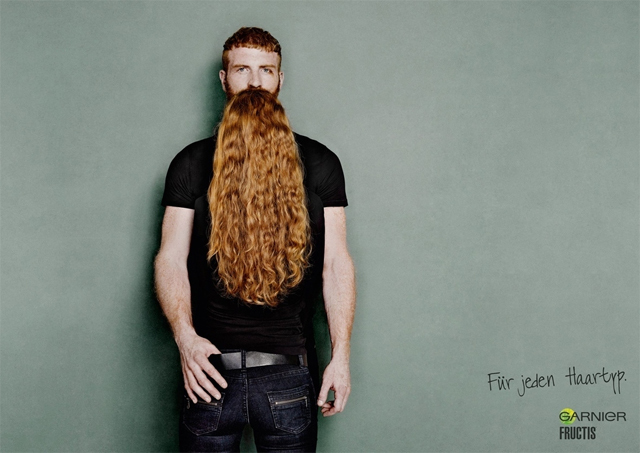 The ad copy reads “For any hair type”, and promotes that Garnier Fructis’ hair care products will work great for both men and women. 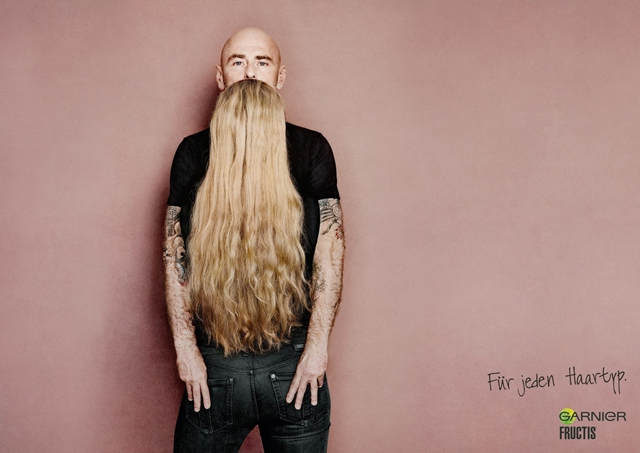 The eye-catching illusions were captured by Berlin-based photographers Billy & Hells.